First and foremost, my most exciting news is for hop heads. I have managed to get my hands on a limited supply of Falconers Flight pellets. - Partial proceeds benefit the Glen Hay Falconer Foundation that awards a scholarship every year to a Northwest brewer. Alpha is 10.5 and this is an excellent 2 way hop. 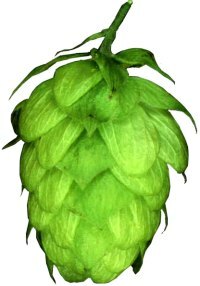 Dave Neilly, at Wildrose, has used this hop in a few of his past casks and I believe it is also in the AF23 Pale Ale seasonal. It was also a popular hop in several casks that I had during Vancouver Craft Beer week including an amazing Red Racer Cask. We have expanded the line of 5 star chemicals to include larger format Starsan (16oz), Saniclean (16oz), Super Moss, and 5.2 ph stabilizer. For those of us that keg, I am expanding our parts selection and have found a supplier for taps, shanks, drip trays and other bits and pieces to convert that fridge or freezer. In the up and coming department, I have ordered in some Nyoprene Keg insulators and Ice blankets for those interested in taking their kegs out to a picnic. They keep your beer cold for up to 24 hours.I am working on a refillable paintball based Co2 system that you will be able to get filled at the store. Also, if all goes well, you might start seeing a lot more brewing tools such as mash paddles, brew kettles and other essentials in time for the fall brewing season. Brewing things keep changing at a rapid pace and it is being driven in a large part by you our customers Thank you for your enthusiasm and support.